I was sent the following books for my honest review. This post contains affiliate links. Move over adult coloring, it's time to paint and crochet! 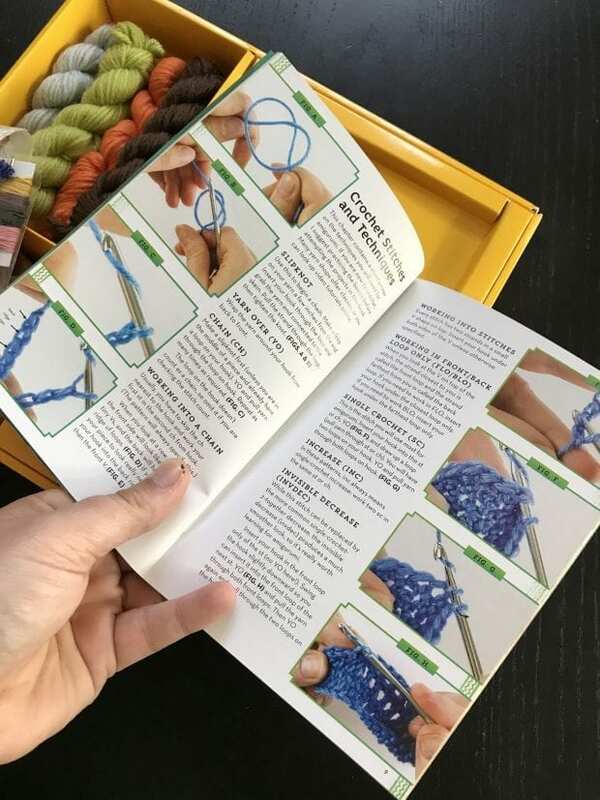 Thunder Bay Press has a line of some of the cutest crafting books and projects that come with everything you need to get started. 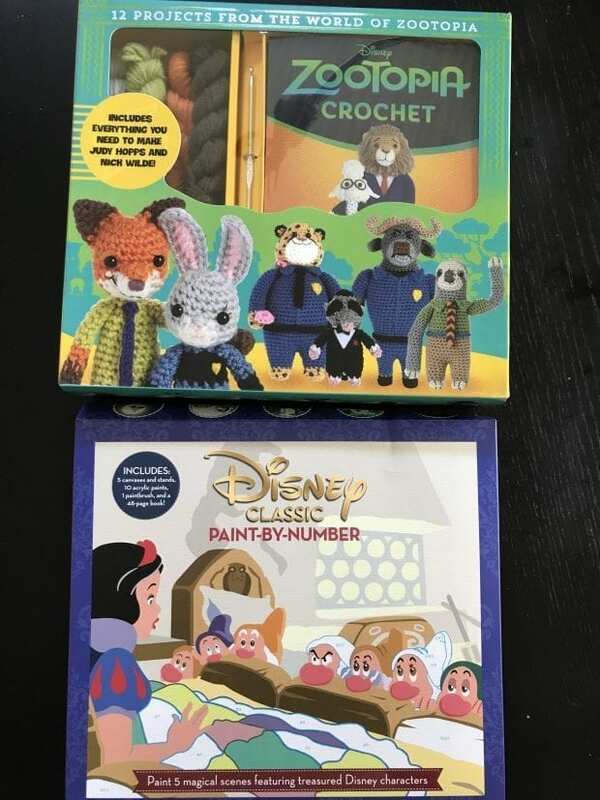 The latest in the collection is a Disney Classic Paint-by-Number and a Zootopia Crochet kit . 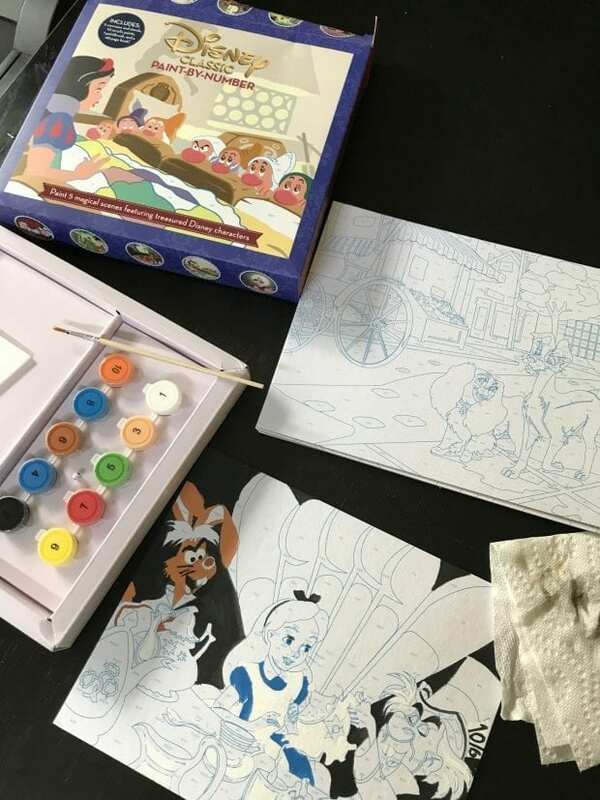 The Disney Classic Paint-by-Number kit comes with 5 different Disney classic movie scenes from Alice in Wonderland, Pinnochio, Snow White and the Seven Dwarves, Lady and the Tramp, and The Jungle Book. The kit also includes all the paint and a paint brush for the project. I started working on one but of course, my kids were all up in my business breathing in my ear to watch. I think this would be a good activity to do when they kids go to sleep! The only challenge I faced was with mixing colors. Some of them I couldn't get quite right. 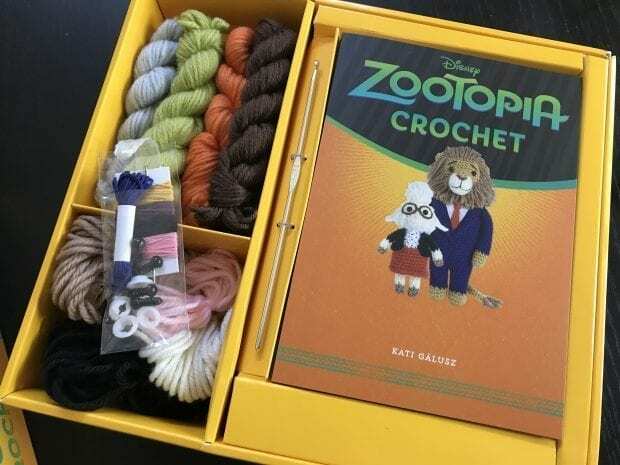 The crochet kits also come with the items you need to do two characters. Yarn, thread, safety eyes, and the crochet hook. I love that it comes with an enough for a few characters. You'll want to make them all though because they are super cute. I haven't crocheted in a long time so I need to watch some YouTube videos on how to do some of the stitches properly. I want to make a little Nick Wilde because he is my favorite Zootopia character. I have a thing for foxes. The book has detailed pictures to help you step by step to make your little characters. Can we talk about how cute all these little crochet characters are! Next on my list is to make a little Wicket and Leia. Maybe this will finally teach me how to crochet. I can’t knit, either!